fivestarbricks has no other items for sale. Good product and good shipping. Excellent product!!!! Good mix. Happy with what arrived and that they are clean. There's not a whole lot to say. 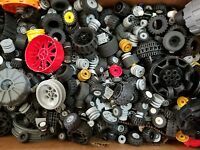 They're LEGO pieces. They were relatively clean. In good shape. But there are more "specialty" pieces than I had hoped. 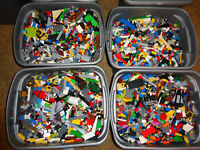 And it turns out that 3 lbs of LEGO pieces doesn't actually net you as many pieces as I had hoped. This isn't really a fault on the seller or anything. 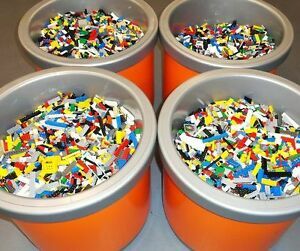 Just be prepared that 1lb of LEGO pieces is not really a lot. I was excited to receive 4 lbs. 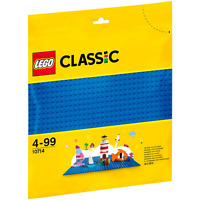 of the bulk lego but first of all it arrived in a regular garbage bag (eeeeew). I know, I may be a bit picky, but it certainly wasn't a good start. As I looked through the legos there seemed to be plenty of HAIR in it. It looked more like pet hair, but still (eeeeew). The legos were dirty, certainly not sanitized, but the variety was nice and after a quick run in the dishwasher on super high heat (I placed them in delicate wash bags on the top rack), I felt that it was good enough. Won't be ordering from here anymore. Just a bit icky. Eeeeew! False advertising. Actual smaller quantity than the feature picture. 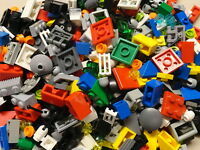 These Legos Are In Great Shape! 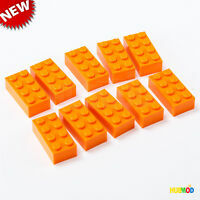 I am always a fan for Legos, and this product came with a nice mix of colors and shapes. The bricks were in great condition with little to no sign of wear. The minifigure that was included was also in great condition. 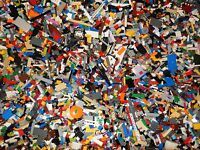 I was expecting blocks and pieces I received all pieces and flat pieces. 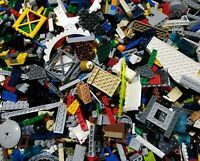 No way a child can use these to build something. In the statement it states Huge Bulk Lot brick blocks. No brick blocks.